Missouri offers Travel Money* to a World Series for the Team(s) with the Most State Points. 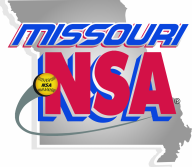 Only Missouri Qualifiers will count towards the World Series Travel Money points. *Travel Money will be sent to the World Series Tournament Director. The amount of Travel Money is based on the number of teams entered in each class in each Qualifiers throughout the State, at $10 a team. Ex. 8 Silver teams in a WSQ equals $80 (8x$10=$80) in the Silver Travel Money Fund. We will look to pay out to the top 4 teams if we have good turn outs. State points are figured by the number of teams entered in each Qualifier times 25. Ex. 8 teams entered, 8x25=200 points to 1st Place. -10 points for each place following. Ex. 1st Place - 200, 2nd Place - 190, 3rd Place - 180, 4th Place - 170, etc. The bigger the tournament, more points to be had. We will use these State points to seed teams for the State Championship.